Hardline Israeli premier Benjamin Netanyahu renewed on Tuesday his vow to continue supporting the expansion and building of settlements in the West Bank and Jerusalem. "With God's help we will continue to live and build in Jerusalem, which will continue to stand undivided under Israeli sovereignty," Netanyahu said at an event held for the launch of the Likud-Beiteinu electoral alliance. "Over the past few years, we have done a lot to empower the settlements and will continue to do so," he stressed further. Leader of Beiteinu party and former Israeli foreign minister Avigdor Lieberman, in turn, addressed the settlement issue as well during the event. "We have one dispute with the global community," he said. "This dispute is about the construction in Jerusalem and in the settlement blocks. This is why we need a united and strong government that can withstand the pressure." In another context, former Israeli premier Ehud Olmert warned Tuesday that a third Palestinian intifada (uprising) could be imminent, but he stressed that despite the mounting tension, the opportunity for peace is still viable. "We are on the verge of a third intifada," Olmert said at a bar association conference in Tel Aviv on Tuesday, noting that something, one day, would spark the great conflagration in the occupied Palestinian territories. He added that the delusional and wrong thinking that Israel could go on with the current situation in the occupied Palestinian territories would wear off after a day of the elections. The Palestinian government in Gaza reiterated its strong condemnation of Israel's escalating settlement and Judaization activities in the occupied territories of the West Bank and Jerusalem. This came in a press release issued following its weekly cabinet meeting on Tuesday. The government appealed to the international community, especially the signatories to the fourth Geneva convention, to pressure the Israeli regime to stop its settlement and Judaization activities in the occupied Palestinian territories, describing such Israeli violations as war crimes. The Hamas-affiliated government also urged the Palestinian people in their occupied territories to strongly confront Israel's settlement attacks by all available means and never surrender to its crimes. The government also reaffirmed its positions regarding several issues in the Palestinian arena, including the issue of the Palestinian prisoners and hunger strikers in Israeli jails, emphasizing its full support for their just demands and their struggle for freedom. The government renewed its denunciation of the deadly attacks on Palestinian refugee camps in Syria and called for neutralizing them, and pledged to continue its efforts to extend help to the refugees. The government also decided to release a number of Fatah detainees who are convicted of security issues, as part of its efforts to create a positive climate for the national reconciliation. It said it had informed all concerned parties within Fatah that their movement is allowed to hold its anniversary festival anywhere in Gaza except for two places because of security reasons. The Israeli occupation authorities (IOA) endorsed the construction of 1200 new housing units in Gilo suburb in occupied Jerusalem. The AFP quoted a spokesperson for the Israeli Peace Now movement as saying on Monday that the Israeli interior ministry had authorized the building of those new units. The spokeswoman said that the endorsement of the new houses was made in a meeting last Thursday held by the planning committee in Jerusalem that was allocated for discussing objections to that project. She noted that her movement had mentioned that project on 18 December when the Israeli government announced plans for big housing projects in the West Bank and Jerusalem despite international criticism. 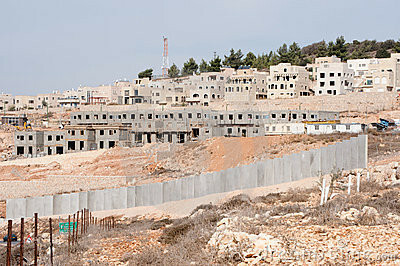 The controversy surrounding the government's decision to promote the construction of thousands of housing units in the E1 zone, which will connect Ma'ale Adumim and Jerusalem and cut through the West Bank, is view by pundits and politicians alike as a serious diplomatic problem, but not a legal one. It is assumed that most of the area has been declared as state-owned land, meaning it belongs to the government, which can do whatever it wants with it. This assumption is completely false. Over the years Israel's governments have allotted "state-owned" lands in the West Bank almost exclusively for the use of settlements, in direct violation of international law. As of today, 1.4 million dunams (346,000 acres) in the West Bank (some 26% of the entire territory) are defined as state-owned land. Some 527,000 of the dunams (130,000 acres), mainly in the Jordan Valley, were considered state-owned land when Jordan ruled over the region. Since the High Court of Justice ruled in 1979 that it is illegal to build settlements on private Palestinian land, the settlement enterprise has been based on the use of state-owned lands. To this end, between 1979 and 2002 Israel has declared more than 900,000 dunams (about 222,000 acres) as state-owned land, an addition of some 170%. Most of these lands were defined as being within the limits of the settlements' local or regional councils. According to international law, publicly-owned areas in the West Bank also belong to the Palestinian population that resides within them. The West Bank was never annexed to Israel's sovereign territory (such a unilateral annexation would be illegal); it is under Israeli military rule. Military rule means that the state holds the territory only as a trustee. International law clearly determines that Israel can use the territory only to provide for the needs of the local population or to serve its military and security-related needs. Building permanent communities that are populated by Israeli civilians, the advancement of Israeli industrial and tourism projects, exploiting the area's resources (including water) – all of these are forbidden. These resources must be used to serve the needs of the Palestinian population alone. Despite the legal restrictions, since taking over the West Bank Israel has classified hundreds of thousands of dunams as state-owned land. These areas were robbed from the Palestinian population and are used almost exclusively by the settlements, which were established illegally. Classifying these areas as "state-owned" and transferring them to the settlements has had severe effects on the local Palestinian population: The livelihood of the shepherds and farmers has been taken away; Palestinian communities cannot expand and develop; and lands that were supposed to be designated for the development of Palestinian industry, tourism and agriculture have been robbed. It is not just settlement building that is wrong. As strange as this may sound to Israelis, who consider natural resources to be Israeli property, we are not allowed to open beaches and factories in the northern Dead Sea; we are not allowed to develop tourism projects in areas we do not own and we are forbidden from exploiting the resources of the conquered land. These resources can only be used for the benefit of the local Palestinian population. The government's policy is not new, but the fact that we have been acting this way for decades does not make it right. "State-owned" lands are meant for the use of the Palestinians. The only exception that allows Israel to use conquered lands is when these lands are needed in order to meet a military need. The plan to build thousands of settler homes in E1 has nothing to do with Israel's military needs. Miriam Leedor is director of public outreach at B'Tselem - The Israeli Information Center for Human Rights in the Occupied Territories. 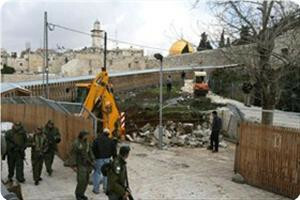 Jerusalemite figures warned of escalating Israeli settlement construction in the holy city, in order to expel the Arab population and to take full control of the buildings and land. "Jerusalem faces a new settlement campaign that aims to impose new facts, and to prevent the implementation of the United Nations resolution to recognize the state of Palestine in 1967 borders," the Jerusalemite lawyer Ahmed Al-rowaydhi said during a press conference on Thursday. The lawyer stated that Jerusalem is witnessing a state of war represented in constructing more settlement units and the demolition and confiscation policy of Palestinian property and targeting holy sites in Jerusalem. 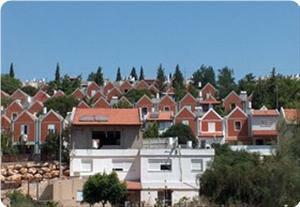 For his part, the researcher specialized in the settlement affairs in Jerusalem, Ahmad Sob-Laban, has explained settlement schemes in Jerusalem, saying that yesterday the Israeli Ministry of Housing declared its intention to construct 1108 housing units, including 168 units in Jabal Abou Ghneim, and the rest in the West Bank settlements. "During 2012, the occupation authorities has proposed to set up a solid waste landfill located between Issawiya and Anata and it will be moved to a garden after twenty years, leading to the confiscation of 514 dunums," he added. The participants in the press conference called for the need to support the steadfastness of Jerusalemites and provide them with all the requirements, and to provide housing projects to maintain the land in the city of Jerusalem. Nimir Hammad, Political Advisor to President Mahmoud Abbas, stated that several European Countries are exerting efforts meant at convincing the United States to obtain a serious resolution at the United Nations General Assembly to prevent Israel from continuing its illegal settlement activities. Last Wednesday, the United States foiled several attempts by Security Council member countries meant at issuing a resolution condemning Israel for its settlement activities in occupied East Jerusalem and the occupied West Bank. Due to U.S. pressures, the countries failed to pursue such a resolution, and only issued statements denouncing the Israeli violations and its unilateral actions, the Maan News Agency reported. Speaking to Maan, Hammad said that “should it become apparent that the Security Council will not take any serious decision regarding Israel’s ongoing violations, the Palestinian leadership will weigh the possibility of heading to the International Criminal Court after obtaining a membership status. Israel had recently approved that construction of thousands of additional units for Jewish settlers in occupied Jerusalem and the occupied West Bank, as an act of punishment against the Palestinian Authority for managing to obtain a nonmember state status at the General Assembly. Hammad said that International Law considers settlements to be war crimes, therefore, should the Palestinians be able to obtain membership at the International Criminal Court, they will be able to sue Israel. As for the planned visit of the Qatari Prince, Sheikh Hamad Bin Khalifa Al-Thani, Hammad said that the Prince will be visiting the West Bank on December 31, adding that the Arab League Secretary-General, Nabil Al-Arabi, will be visiting Palestine on December 29. 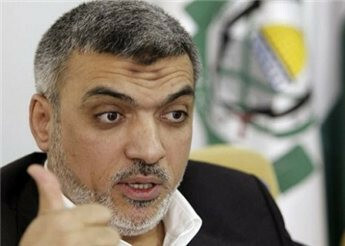 Ezzat al-Risheq, member of the Political Bureau of Hamas, strongly criticized the position of U.S.A which disrupted a UN resolution condemning the continuation of the occupation's settlement activity in Jerusalem and West Bank. Risheq said in remarks on Friday on his Facebook page: "disabling a UN resolution condemning settlement activity by the U.S. administration is a clear bias towards the occupation and encourages it to continue its crimes against the Palestinian people, land and holy sites." The occupation authorities had approved last Monday a plan to build 1500 new settlement units in the settlement of Ramat Shlomo in northern Jerusalem, which has raised more Palestinian criticisms. This is the fourth settlement plan approved by the occupation authorities since the decision of the General Assembly of the United Nations to grant Palestine the status of a non-member state on 29 November 2012. All Member States of the UN Security Council, except the United States, have condemned last night the decision the occupation to build thousands of new housing units in East Jerusalem and in a number of West Bank settlements. The US State Department issued a statement this week that included a rare criticism of Israeli policy, calling the ongoing construction of settlements on Palestinian land a "pattern of provocative action" that prevented the renewal of peace talks. Despite this critique, the Israeli government announced plans to move ahead with 6,000 new settlement units, mainly in the Jerusalem area. After the Palestinian Authority pursued, and succeeded in obtaining, a vote for non-member statehood status at the United Nations last month, the Israeli government undertook a number of punitive measures against the Palestinians. These including illegally confiscating Palestinian Authority funds that would pay the salaries of teachers, doctors, pensioners and the disabled, as well as announcing a plan to increase settlement construction in the Israeli-occupied West Bank. Israeli forces have militarily occupied the West Bank and Gaza Strip since 1967, and have illegally seized large swaths of Palestinian land in order to transfer Israeli civilians onto this land, in direct violation of its obligations as an Occupying power under the Fourth Geneva Convention. Since a peace agreement known as the 'Oslo Accords' was signed in 1993, hundreds of thousands of Israeli settlers have poured into the West Bank and established colonies. In 2005, around 5,000 settlers were paid by the Israeli government to move out of settlements in the Gaza Strip, although many of them ended up moving to other settlements in the West Bank. 1,500 units were approved on Monday by Israel's Interior Ministry, and discussion is continuing throughout this week on the plans for 4,500 additional units, which are expected to receive final approval by the Israeli Interior Ministry early next week. 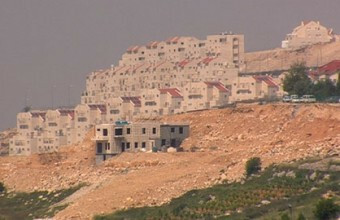 All Israeli settlements in the West Bank are considered to be violations of international law. Israeli war minister Ehud Barak has endorsed the construction of 523 housing units in Gush Etzion settlement complex located between occupied Jerusalem and Bethlehem. Hebrew daily Yediot Arhonot said on Thursday that the housing units were authorized before the admission of Palestine as a non-member observer state at the UN. It said that those units were among a package of 5760 housing units in various settlements. The paper said that one thousand units of those would be built in Givat Ze’ev north of occupied Jerusalem, HarHoma also in the holy city, Karni Shomron near Nablus and Efrat near Bethlehem. The Egyptian foreign ministry condemned the Israeli decision to build 2600 new housing units in occupied eastern Jerusalem. Ambassador Alauddin Yousef, the director of Israel department in the foreign ministry, summoned the Israeli ambassador to Cairo and told him of Egypt’s denunciation of the step. Yousef said in a terse statement on Wednesday that there is clear contradiction between the settlement activity and the land for peace principle, which is the cornerstone of the peace process in the region. He said that the settlement activity damages efforts to resume the peace process and runs contrary to the international law that organizes the legal status of lands under occupation. The Israeli-controlled municipality of occupied Jerusalem has endorsed the construction of 2600 new housing units in Givat HaMatos on the southern fringes of Jerusalem. The municipality’s local council for organization and construction endorsed the plan on Wednesday, adding that it would start implementation in the near future. The plan falls in line with a series of settlement expansions that envisage the building of thousands of housing units in occupied Jerusalem and the E-1 area that separates between Jerusalem and the West Bank. The Israeli occupation authorities launched the settlement expansion plans after the UN accepted Palestine as a non-member observer state at the international organization. The Israeli Supreme Court rejected the objection submitted by Al-Aqsa Foundation for Waqf and Heritage regarding establishing a park in cemetery of Zarnouqa village, depopulated more than six decades ago, in 1948- occupied territories. Al-Aqsa Foundation described, in a press statement on Tuesday, the court's decision as biased to the Israeli Rehovot Municipality and as "an official tool contributing to the violation of the sanctity of dead Muslims and the obliteration of their graves, without respecting their religious constants"
The foundation demanded the municipality to immediately stop the works in the cemetery and find other areas to establish its parks and public facilities. 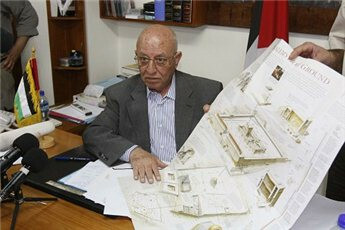 The lawyer for Al-Aqsa Foundation, Mohammed Suleiman, told the Israeli judge, who asked him to explain the reasons behind his opposition to the implementation of the municipality's scheme, that implementing projects in a Muslim cemetery and on the ruins of the Muslims' remains is a flagrant violation of the sanctity of Muslims graves. The lawyer also pointed out that the "international norms provides for preserving the remains of the dead regardless of their race and religion." He added that the court's decision was "not surprising... We did not rely too much on the judge's statements and the court session," stressing that his organization will always defend and preserve the cemetery of Zarnouqa village. The United States and the European Union issued statements denouncing Israel’s new plan to build thousands of units in illegal Israeli settlements in and around occupied Jerusalem, and in a number of illegal Israeli settlements in the occupied West Bank. Spokeswoman of the U.S. Secretary of State, Victoria Nuland, stated that the “United States is disappointed that Israel is ongoing with its provocative acts”, and added that Israeli leaders repeatedly speak of the two-state solution with the Palestinians, but “the their actions on the ground are threatening this vision”. Despite its condemnation, the United States remain the largest supporter of Israel, as its grants Israel around $3.6 Billion annually, in addition to hundreds of millions of dollars donate through lobbies, including groups that were formed with the sole intension to support Israel’s illegal settlement activities. 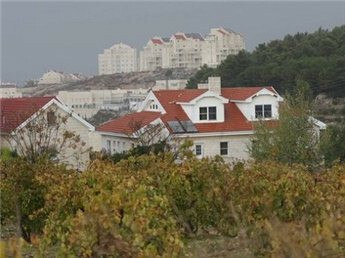 France also issued a strong condemnation of the recent Israeli decision to build 1500 units in the illegal Ramat Shlomo settlement in occupied Jerusalem, and stated that “Ramat Shlomo is a settlement neighborhood, and any construction in it is an illegitimate colonial act that harms the trust building measures being conducted between Israel and the Palestinians”, and also stated that such constructions will further obstruct the peace process and jeopardize the two-state solution. Britain, France, Germany and Portugal are preparing a draft that will be submitted to the Security Council to denounce the Israeli plan, and to condemn Tel Aviv for launching new construction projects in Jerusalem and some West Bank settlements. 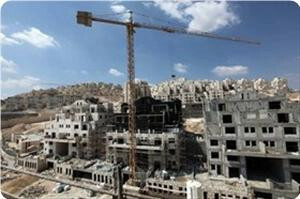 The Maan News Agency reported that around 400 Jewish Rabbis also urged Israeli Prime Minister, Benjamin Netanyahu, to refrain from implementing the new construction in E1 area, located between occupied East Jerusalem and the illegal settlement bloc of Maale Adumim. In their letter, the Rabbis said that they fear that the new constructions will be the “fatal blow on the head of the political process”, and warned that this plan “also harms the vital Israeli-American relations”. But Netanyahu and his extremist coalition partners went on to reiterate Israel’s stance” that Jerusalem, all of Jerusalem, is the eternal and unified capital of Israel”, and added that the government will continue to build and expand settlements. On his part, Palestinian UN Observer, Riyadh Mansour, stated that the Security Council will adopt a new solution condemning the Israeli plan in Jerusalem and the rest of the occupied Palestinian territory. He added that this resolution will likely receive the support of all member states except for Israel and its ally the United States. Israeli settlements in the occupied West Bank, including occupied East Jerusalem, Israel’s settlement blocks and random outposts are illegal under International Law and violate the Fourth Geneva Convention to which Israel is a signatory. By accepting the two-state solution, the Palestinian leadership recognized the state of Israel that was built on around %82 of the historic land of Palestine, while Israel continues to build and expand settlements in large areas of the remaining %18 where the Palestinian leadership is hoping to establish its state with occupied East Jerusalem as its capital. Beside its refusal to halt its settlement activities, Israel has been rejecting talks on vital issues such as border, natural resources and the internationally-guaranteed Right of Return of the Palestinian refugees. Knesset speaker Reuven Rivlin said on Tuesday that construction in occupied Jerusalem was not for negotiations. He told the Hebrew radio that the area named E-1 would remain in Israeli hands in any future political settlement with the Palestinians. He lambasted those who object to his government’s decision to build housing units in Jerusalem and its environs especially after Palestinian rockets targeted Tel Aviv and Jerusalem. Sources in Israeli premier Benjamin Netanyahu’s office said that the building of 1500 new housing units in Ramat Shlomo suburb north of occupied Jerusalem was still in the planning stage. The Interior Ministry and the Jerusalem Municipality's planning committees approved on Monday afternoon, a new plan to construct 1500 new housing units in Ramat Shlomo neighbourhood, north of Jerusalem. Two weeks ago, Israeli government has revealed new settlement plans in Jerusalem and advanced approvals of 3600 new settlement units. On Tuesday, the District Planning and Construction Committee will discuss stages B and C of Givat Hamatos, a new Jewish neighbourhood located next to Beit Safafa. Stages B and C have a combined 1,363 apartment units. According to Jerusalem Post newspaper, on Wednesday, the Local Committee is expected to grant final approval to stage A of Givat Hamatos, with 2,610 units. On Thursday, the District Committee is expected to give final approval to the Slopes of Gilo South, with approximately 1,000 apartment units. The PA President Mahmoud Abbas spokesperson, Nabil Abu Rudenieh, said on Monday that this is a blatant challenge to the international community and disregard for the feelings of the Palestinian people and the Arab nations. He also said that such actions would isolate Israel after the World rejected the Israeli occupation and recognised the Palestinian state in the pre-1967 borders. US State Department spokesperson, Victoria Nuland, condemned the Israel's approval decision to build 1500 housing units, north of Jerusalem and considered it an unilateral move which may kill any chance to achieve peace and accomplish the two-state solution. The United Nations condemned the Israeli settlement and called the two political parties; the Palestinian and the Israeli to return to the peace negotiations table. The United States has criticized the Israeli regime’s plan to construct some 1,500 illegal settler units in the Occupied Palestinian Territories. US State Department spokesman Victoria Nuland criticized the Tel Aviv regime on Monday for its decision to construct more settler units in East al-Quds (Jerusalem). Nuland called on the Israeli authorities to refrain from “unilateral actions,” saying that Washington’s stance regarding the construction of illegal settlement has not changed. The remarks came after Israel gave the initial approval for the construction plan on Monday. A spokesman for the acting Palestinian Authority (PA) chief, Mahmoud Abbas said the PA would turn to the UN Security Council over Israel’s plan to expand its illegal settlements in the territories. The Palestinian leaders were about to take “important and necessary measures against Israel’s settlement building, including recourse to the UN Security Council, to prevent implementation of these decisions,” Nabil Abu Rudeineh said. On December 10, the European Union criticized the Israeli regime over its plan to build thousands more illegal settler units on the occupied territories, saying the bloc is “deeply dismayed” by the move. The settlements are considered illegal by the UN. Sheikh Ekrema Sabri, the head of the higher Islamic authority, has denounced the Israeli occupation authorities (IOA) for endorsing the construction of 1500 new housing units in occupied Jerusalem. Sabri said in press statements on Tuesday that the IOA decision to build those units in Ramat Shlomo settlement indicated that it was bent on accelerating settlement in the occupied Jerusalem to Judaize the holy city and its environs. He said that the continuation of the “cancerous settlement” activity showed that the IOA was not concerned with a peaceful and just solution and that it gave a blind eye to local, Arab and international protests. Sheikh Sabri warned that the settlement activity would increase tensions in the region. He finally asked the Arab and Islamic countries to pay more attention to occupied Jerusalem before it was too late. A report issued by the Information Office of Hamas movement affirmed that the pace of settlement expansion in the West Bank and Jerusalem has been escalating. 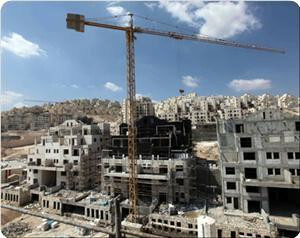 The report pointed out that the latest of these projects was approving the construction of 3600 settlement units which will serve as the bridge linking the "Maale Adumim" settlement, "E-1" settlement complex, the Jordan Valley's settlements and other settlement blocs, with the occupied city of Jerusalem; within the framework of what Israel calls Greater Jerusalem. The report also monitored the Judaization schemes targeting Jerusalem and Al-Aqsa Mosque during the period between the 16th of November and the 15th of December. It pointed to digging tunnels in the town of Silwan to Judaize the area surrounding Al-Aqsa Mosque, demolishing dozens of Jerusalemite houses, planning to build an archaeological park and a synagogue in the Old City of Jerusalem, and changing the names of several Jerusalem streets. It also monitored the settlement schemes in the occupied West Bank through pointing to the confiscation of lands, demolition of water wells, the uprooting of olive trees and bulldozing of agricultural lands. The report pointed out that the settlers still continue to attack Palestinian citizens, their properties and holy places, but also pointed to the state of fear experienced by the settlers after the aggression on Gaza and the victory of the Palestinian resistance. Hamas movement has demanded, in a statement by an official source, the international community to bear their responsibility for the serious repercussions of the settlement and judaization projects and schemes. It also called for an Arab and international serious move to put an end to such flagrant violations of the International charters and laws. The movement reaffirmed that "all the occupation's efforts to impose a new reality will not succeed in obliterating the facts and history", stressing that the Palestinian people will never give up any part of the Palestinian land and will always adhere to its constants and defend its sanctities. 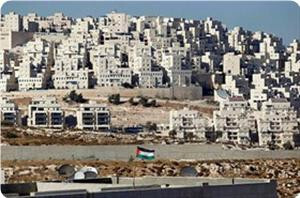 Wadi Hilwa information center said the Israeli ministry of tourism intends to carry out a new settlement project in Hawsh Qaraeen road in Silwan district, east of occupied Jerusalem. In a press release, the center stated that the Israeli ministry of tourism in collaboration with other Zionist institutions would initiate the project of tiling Hawsh Qaraeen road and changing its infrastructure. The center affirmed that this project is aimed to serve the Jewish settlers, where it would connect this road with the tourist pathway known as Al-Baten in Wadi Hilweh. The popular committee of Wadi Hilweh natives strongly denounced this project and denied it would be road improvements as the Israeli ministry claimed. 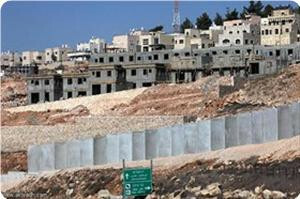 The committee asserted that the project is part of Israel's settlement and Judaization activities in east Jerusalem, especially in Wadi Hilweh. It added that the Israeli occupation authority does not make repairs and improvements in the alleys and roads of Wadi Hilweh neighborhood and all its projects only take place in annexed areas used by Jewish settlers or tourists. 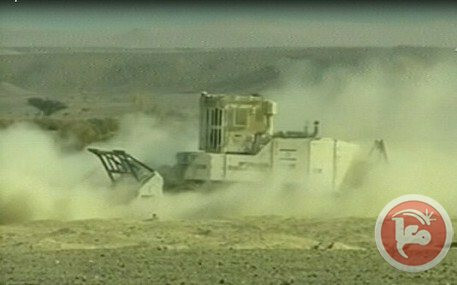 Israel has officially started the removal of landmines close to the border with Jordan to use the lands for illegal settlement construction in the area, especially in the Wadi Araba area. The plan also includes boosting industry and factories in settlements in the area. Israeli sources reported that thousands of Dunams extending from the occupied Golan Heights and Majdal Shams reaching the Dead Sea have been implanted with landmines in 1948 in order to “prevent Arabs and Palestinians fighters from entering Palestine”. 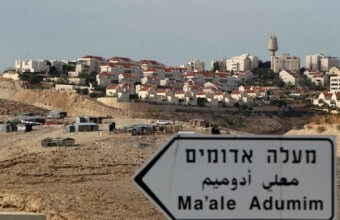 The Israeli occupation authorities on Tuesday invited offers for the expansion of "Ma'ale Adumim" settlement, on an area of twenty dunums of confiscated land, for the construction of new housing units east of Jerusalem. Ahmad Sob-Laban, a Palestinian researcher specializing in Israeli settlement affairs, issued a press release revealing that "these tenders coincided with the approval of the construction of 3426 housing units in the area E1, where the Israeli Regional Planning and Construction Committee in West Bank approved two projects a few days ago, the first includes building of 2176 housing units on an area of 1250 dunums, and the other includes building of 1,250 housing units on an area of 935 dunums. He added that the two projects are out of six settlement projects planned to build 3682 new housing units in the E1 area, in addition to the construction of an industrial zone, and other infrastructure projects. It is noted that the project will link the settlement of "Ma'ale Adumim" which the Israeli Housing Ministry decided to expand, directly with Jerusalem, where it will divide the West Bank into two parts. Palestinian President, Mahmoud Abbas, threatened to head to the International Criminal Court (ICC) should Israel insist on implementing its decision to build more than 3000 homes for Jewish settlers as part of its E1 illegal settlement project in occupied East Jerusalem. The statements of Abbas came during a press conference with the Turkish President, Abdullah Gül, in Ankara. “Should Israel continue to build new homes for settlers, we will retaliate with all available peaceful means”, Abbas said, “One of those means is for sure heading to the ICC”. “Should Israel choose peace, it will find us ready and willing”, the Palestinian President added, “But should the Israeli government choose settlements, especially in E1, then we will have our legal options”. Abbas also stated that the recently declared Israeli plan to build thousands of settlement units on lands that belong to the Palestinian State, on lands around occupied Jerusalem, is a red line, and added, “We will not allow Israel to implement its illegitimate plan, as it violates all international treaties, and the Fourth Geneva Convention”. The President further stated that the Israeli plan, that brought massive international condemnation, aims at punishing the Palestinians for heading to the UN General Assembly, and for managing to achieve a nonmember state status. 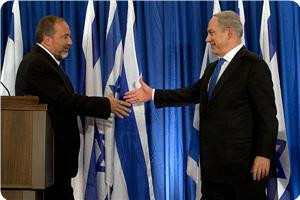 Tel Aviv claimed that the vote is an obstacle to any negotiated settlements to the conflict. On his part, the Turkish President strongly condemned the Israeli decision and urged Tel Aviv “to refrain from playing with fire”. Gül said that Turkey supports the Palestinian people, and their internationally guaranteed rights for liberation and independence. The Turkish-Israeli relations suffered a sharp blow after Israeli soldiers pirated and attacked in late May 2010, the MV Marmara solidarity ship, part of the Freedom Flotilla that was heading to Gaza to deliver medical and humanitarian supplies, and killed nine Turkish nationals, including a Turkish American citizen. Israeli Foreign Minister of the extremist far-right "Israel Our Home Party", Avigdor Lieberman, stated that should the Palestinian Authority in the West Bank head to the International Criminal Court (ICC) to sue Israeli for its decision to build 3000 settlement units, the move will be regarded by Israel as a “declaration of war on Tel Aviv”. The Foreign Minister said that that Palestinian “will get peace from Israel if they really want peace”, and that “should they choose war, they will also get it”. The threats uttered by the former member of the terrorist Kach movement, that was outlawed by Israel itself, also included a direct threat not only to attack Gaza should the resistance fire missiles into Israel, but to conduct a large-scale ground military invasion. He said that this invasion will not have any restrictions, and will lead to a full Israeli military control over the entire coastal region. Lieberman went on to attack the Israeli left, and centrist parties, and stated that Labor party head, Shelly Yachimovich, Chairwoman of the Meretz Party, Zahava Gal-on, and Tizpi Livni, head of the newly-formed Hatnua Party, and claimed that they “are siding with the Palestinian Authority”, Israeli Ynet News reported. He also said that he is annoyed by Israeli politicians who consider Palestinian President, Mahmoud Abbas, to be a partner in peace, and described them as "small parrots”. The Israeli Foreign Minister claimed that only his party and its coalition with the Likud Party of Israeli Prime Minister, Benjamin Netanyahu, can lead Israel to safety, and can fix the security situation in the country, adding that Gal-On cannot ensure Israel’s security. The Ynet News also reported that Lieberman slammed Israeli soldiers who were caught on tape escaping from Palestinians throwing stones at them in the West Bank, and claimed that “the soldiers chose to run away because “they wanted to avoid being investigated by the Military Police”. When Lieberman previously served a member of Knesset, he repeatedly described the Palestinians in Israel and the Palestinians in the occupied territories as “demographic threats”, and uttered various calls to have them exiled to Jordan, and other Arab countries. He also made several statements describing Jordan as the alternative homeland of the Palestinians, and that the they should all just leave and build their Palestinian state in Jordan. Canadian Prime Minister, Stephen Harper, informed Israeli Prime Minister, Benjamin Netanyahu, that his country cannot support Israel in its recent decision to build thousands of settlement units in the E1 area, linking Ma’ale Adumim settlement with occupied East Jerusalem. Canadian Foreign Minister, John Baird, told “The Globe and Mail” Canadian paper that Harper phoned Netanyahu and told him that the new Israeli settlement construction plan jeopardizes the efforts meant at the resumption of the stalled peace talks between Israel and the Palestinians. 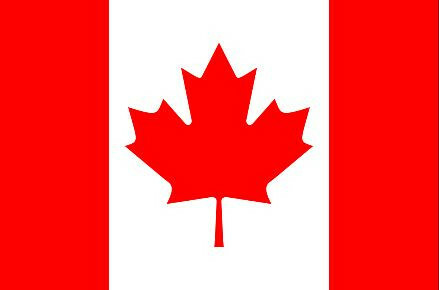 It is worth mentioning that Canada was one of nine countries, including the United States, that voted against the Palestinian application at the United Nations General Assembly; 138 member states voted in favor of Palestine’s application as a nonmember state observer status, while only 9 countries voted against the bid and 41 countries abstained. In related news, Israeli daily, Haaretz, reported that Israeli Foreign Minister, Avigdor Lieberman, voided a planned visit to Georgia for voting for Palestine at the UN General Assembly. Al-Aqsa Foundation for endowment and heritage stated in a statement on Wednesday evening that the occupation began to review the final steps of its dangerous schemes to Judaize Jerusalem's Old City, especially those adjacent to the Al-Aqsa Mosque and specifically al-Buraq Wall. The Foundation warned in its statement that the occupation will start a wide campaign of fundamental changes to the Islamic and Christian buildings and monuments in the Old City of occupied Jerusalem. The Israeli plans also aim to establish new buildings, notably the al-Buraq area. Al-Aqsa Foundation warned against this scheme "which would have serious consequences on Al-Aqsa Mosque and the entire Old City of Jerusalem," calling on all Arab, Islamic, and Palestinian concerned parties to move to thwart this plan. The foundation stated that the so-called District Committee for Planning and Construction of the Jerusalem Municipality and the so-called "Jerusalem Development Authority" discussed on Wednesday evening in a special session the new map of the old town in Jerusalem, which would have serious consequences in the old City of Jerusalem. It noted that the mentioned map is the newest and widest Israeli scheme since 1977, which aims to change al-Buraq Square which is originally a part of the Magaribi Quarter, destroyed by the occupation in 1967. 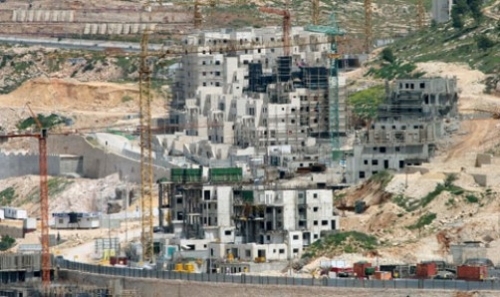 Meanwhile, Israeli sources confirmed that the so-called Civil Administration approved the establishment of more than 3000 new housing units in the area between Jabal al-Masharif and the settlement of "Ma'ale Adumim" established on the eastern part of the holy city, explaining that the plan will be presented to the public within 60 days. The occupation authorities have approved settlement schemes in Jerusalem and the occupied West Bank recently following the UN vote upgrading Palestine to a "non-member observer state, in spite that the settlement projects did not stop during the past years but it has increased in 2012. PLO Negotiations Affairs Department issued a Fact Sheet and a map regards the ongoing Settlement activity. On the hills just east of Israeli-occupied East Jerusalem lies one of the most important areas for Palestinian development and natural growth, and for the viability of a future Palestinian state. As the geographic center of the West Bank, it is also one of the most strategic areas in the West Bank, overlooking both the Holy City and the Jordan Valley. Here, as elsewhere in the West Bank, illegal Israeli settlement activity is ensuring that Israeli territorial designs prevail over Palestinian interests and international efforts for peace. Throughout this area, Israel has established a number of illegal settlements, including Ma'ale Adumim, Almon, Kefar Adumim, Alon and Qedar, as well as the industrial settlement of Mishor Adumim, with a combined population of 41,700 settlers. The largest of these, Ma'ale Adumim, has a population of some 36,000 settlers and a jurisdictional area of 50 km2, similar to Tel Aviv's municipal area. Still, the settlement continues to grow. 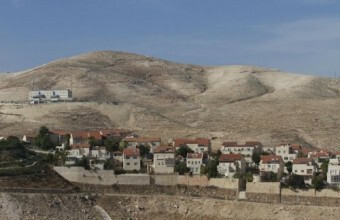 This expansion is part of a plan to increase the settler population of Ma'ale Adumim to 70,000 by 2015. 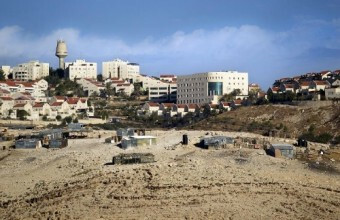 Since 1975, when Ma'ale Adumim was first established with a few isolated caravans, Israel has been expanding the settlements in this area in order to consolidate its control over Palestinian East Jerusalem and the Jordan Valley, and to create contiguity between these two strategic areas of the West Bank. In that time, Israel has built an elaborate road network to connect Ma'ale Adumim and its satellite settlements with one another and with West Jerusalem, as well as a major transnational highway (Road #1) running through Adumim eastward to the Jordan Valley. In order to strengthen these settlements and facilitate their future expansion, Israel is currently building a Wall around Ma'ale Adumim and its satellite settlements. Penetrating 14 km east of the 1967 border, the Wall will effectively annex the Adumim settlements to Israel, incorporating 58 km2 of Palestinian land, complete the encirclement of Palestinian East Jerusalem and sever the West Bank in half. To further strengthen settlement contiguity between the Adumim settlements and West Jerusalem, Israel has developed an ambitious expansion plan known as "E-1". The plan is to be built on 12,442 dunums (3,110 acres) of Palestinian land belonging to the villages of Anata, At-Tor, Issawiya, Abu Dis and Al-Eizariya. Although the plan encompasses a wide area, it is planned to have 3,500 housing units (approximately 15,000 settlers), with most of the land slated for large-scale infrastructure and commercial development, including an industrial park, office buildings, entertainment and sports centers, 10 hotels and a regional cemetery. First ordered by then Israeli Prime Minister Yitzhak Rabin in 1994 in the midst of the Oslo peace process, the E-1 plan was officially declared in 1999 when then Israeli Defence Minister Moshe Arens approved the expansion of Ma'ale Adumim's jurisdictional boundaries to incorporate the area between it and the Israeli-defined municipal boundary of Jerusalem. 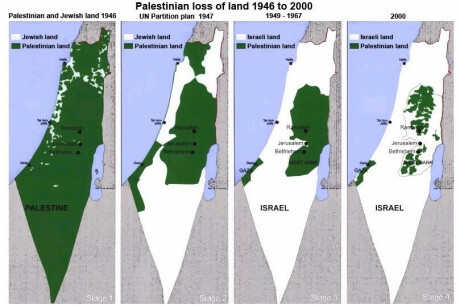 The land had already been confiscated from its Palestinian owners several years earlier. In 2002, the Defense Ministry's Civil Administration approved the outline plan for the E-1 area. Then Defence Minister Ben Eliezer subsequently undertook to the U.S. Administration not to implement the plan. Israel gave the U.S. similar assurances in Spring 2005. 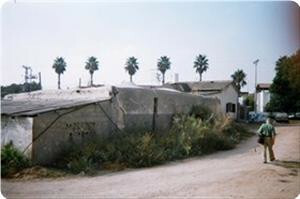 Nonetheless, in July 2004, Israel's Ministry of Housing and Construction began land-leveling work in the E-1 area for new roadways and for site preparation for a new police station. Since that time, Israel has completed work on two police stations, the first one between Az-Zaim and Anata and the second one on the eastern edge of the E-1 corridor that connects E-1 with Ma'ale Adumim off of Road #1. In September 2007, the Israeli army issued a military order for the confiscation of 1,128 dunums (279 acres) of Palestinian land located between East Jerusalem and Ma'ale Adumim for the construction of an "alternate" road for Palestinians linking the southern West Bank to the eastern and northern parts of the West Bank. 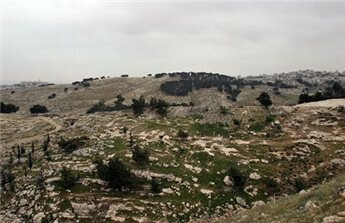 The confiscated land belongs to the Palestinian villages of Abu Dis, al-Sawahra, Nebi Musa and al-Khan Alhamar. The route of the road will roughly run parallel to the southern and eastern sections of the Adumim Wall outside the Adumim "bloc". It will serve to eventually exclude Palestinians from using Road #1 that passes through the E-1 area and the Adumim "bloc" and Road #60 that passes through East Jerusalem, thereby keeping Palestinians out of East Jerusalem. Other roads are also planned as part of Israel's scheme of "transportation contiguity" for Palestinians, while illegal settlers will enjoy the benefits of genuine territorial contiguity between the Adumim "bloc" and West Jerusalem. Meanwhile, the approximately 3,000 Palestinian Jahalin Bedouin, who have lived in the area between East Jerusalem and the Jordan Valley since the 1950s, are facing an existential threat. After originally being expelled from the Naqab (Negev) in 1948, the Jahalin, many of whom were again displaced from the area of Ma'ale Adumim in 1998, are once again under threat of forced displacement due to the expansion of Ma'ale Adumim and ongoing construction of E-1 and the Adumim Wall. The negative impacts of the Adumim "bloc" and the E-1 Plan on the prospects of a viable, contiguous and independent Palestinian state with East Jerusalem as its capital cannot be underestimated. 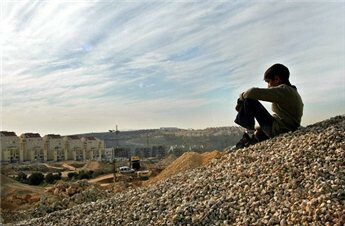 If fully implemented, E-1 would deny East Jerusalem its last remaining area for future growth and economic development. In addition, the location of E-1 and its massive size would assure Israeli control over the key junction area connecting the northern part of the West Bank to the south. 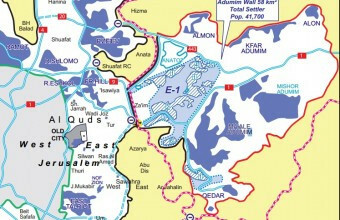 Moreover, even if the E-1 Plan is not implemented, the Adumim Wall's de facto annexation of the area to Israel would permanently sever East Jerusalem from the rest of the West Bank and cut the West Bank in two, thereby destroying any chance for a viable two-state solution or for a Palestinian capital in East Jerusalem. 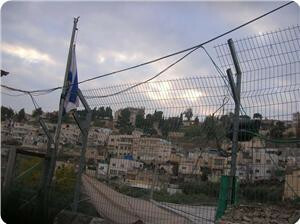 All Israeli settlement activity in the Occupied Palestinian Territory (OPT) is illegal, as it violates Article 49 of the Fourth Geneva Convention, the prohibition against acquiring territory by force, the Palestinian right of self-determination, as well as UN Security Council Resolutions 242 and 338. The United Nations, the International Court of Justice, and the overwhelming majority of states share this view. Israeli Prime Minister Benjamin Netanyahu has definitely crossed an international red line to vindicate a swift and firm rejection from Israel's closest allies when he announced plans recently to build a new settlement on a corridor of occupied Palestinian land in East Jerusalem, which will render any prospective Palestinian contiguous state territorially impossible. Daniel Seidemann, the Israeli founder of Terrestrial Jerusalem, has condemned it as "the doomsday settlement" and "not a routine" one. Netanyahu risks a diplomatic confrontation that will not develop into a diplomatic isolation of Israel because Israel's allies have decided to pressure him to backtrack by "incentives and disincentives" instead of "sanctions," in the words of the British Foreign Secretary William Hague. Summoning Israeli ambassadors to protest Netanyahu's plans by Australia, Brazil, France, UK, Sweden, Denmark and Spain was nonetheless an unusual international outcry because "if implemented," his "plans would alter the situation, with Jerusalem as a shared capital increasingly difficult to achieve," according to William Hague, thus "seriously undermining the two - state solution" of the Palestinian – Israeli conflict according to the French foreign ministry spokesman Philippe Lalliot, which is a "solution without which there will never be security in Israel," according to the Australian Foreign Minister Bob Carr. The international outcry is not against the Israeli policy of settlements on Palestinian occupied land per se, but against this one particular E-1 settlement, which was Netanyahu's answer to the overwhelming recent recognition of Palestine as a non-member state by the UN General Assembly. The U.S. and the EU opposed the E-1 (East One) plan since it was taken out of Israeli drawers in 2005; because they were alert to its potential undermining effect on the "peace process." Now, the five permanent members of the UN Security Council and the United Nations have all warned against the E-1 plan. The White House and US State Department described the plan as "unilateral," "counterproductive," "sets back" peace efforts, "especially damaging to efforts to achieve a two-state solution," "complicate efforts to resume direct, bilateral negotiations" and "risk prejudging the outcome" of such negotiations, and "contrary to US policy." The EU high Representative Catherine Ashton on Dec. 2 said she was "extremely concerned," described the plan as "an obstacle to peace," condemning "all settlement construction" as "illegal under international law," a judgment shared by UK's William Hague who added the plan "would undermine Israel's international reputation and create doubts about its stated commitment to achieving peace." Italian Premier Mario Monti and French President Francois Hollande in a joint statement said they were "deeply worried" by the plan. German government spokesman Steffen Seibert said his country was "deeply concerned." Sweden's Foreign Minister Carl Bildt said the plan was "extremely worrying." China's Foreign Ministry spokesman Hong Lei said his country "has always firmly opposed Israel's construction of settlements in the occupied Palestinian territory of East Jerusalem and the West Bank." Russia "views" the plan "with the most serious concern" because it "would have a very negative effect." UN Secretary General Ban Ki-moon warned the plan "would represent an almost fatal blow to remaining chances of securing a two-state solution." All the five permanent members of the UN Security Council and the United Nations called on Israel to "rescind," "reconsider," "reverse" its plans, "go back on them," "exercise restraint" and "eliminate obstacles to the peace talks with Palestine." However, when it comes to translating their words into action they stand helpless, to render all their statements "an audio phenomenon" as described by Abdul Bari Atwan, the editor–in–chief of the London – based Arabic daily Al-Quds Al–Arabi, a hollow outcry short of an overdue action by the world community. The international community's inaction could not but vindicate the expected Palestinian reaction. President Mahmoud Abbas late on Dec. 4 chaired a Palestinian leadership meeting in Ramallah, attended for the first time by the representatives of the rival Hamas and Islamic Jihad movements. They decided to ask the UN Security Council to adopt a binding resolution obliging Israel to stop all settlement activities in the occupied State of Palestine, concluding that Israel "is forcing us to go to the International Criminal Court (ICC)." South Africa on Thursday summoned its Israeli ambassador to express the country's concern over Israel announcing settlement expansion plans this week, local press reported. 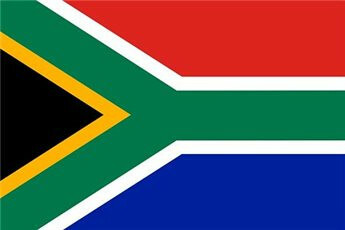 Ambassador Dov Segev-Steinberg was informed of South Africa's rejection of the settlement expansion and seizure of Palestinian tax revenues, both announced after Palestine won the status of a non-member state at the UN, South Africa's The Times newspaper said. In Europe, Spain, Denmark, France, Britain, Sweden and Italy have all summoned their Israeli ambassadors over the move, as well as Australia, Panama and Egypt. Last Thursday, an overwhelming majority of UN members states voted for the Palestinian bid for upgraded membership. A day later, Israel's government announced 3,000 new settler homes and accelerated planning for the strategic "E1" zone in the occupied West Bank. The European Union has threatened to impose economic sanctions on the Israeli government, including restrictions on products of the Jewish settlements illegaly built on occupied Palestinian land, in response to the continuing construction projects and settlement expansion in the occupied territories. 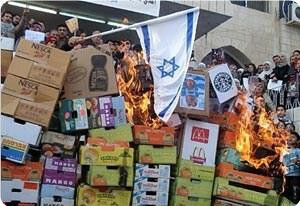 Ma'ariv Hebrew newspaper stated on Thursday that there are European efforts to enact a law to restrict settlements' products through labeling them to distinguish them from other products in the European markets, protesting against the Israeli government's decision to build three thousand new housing units in the West Bank and the occupied city of Jerusalem. 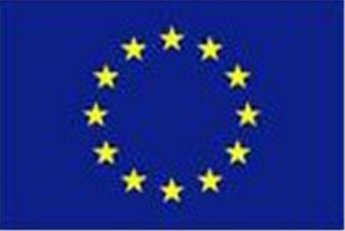 The newspaper pointed out that the European Union will present a draft law to the Council of EU foreign ministers to approve the law. A senior Hamas official on Thursday praised countries, particularly in Europe, for censuring Israel over its settlement expansion plan. Izzat al-Rishq welcomed moves by Spain, Denmark, France, Britain, Sweden and Italy to summon their Israeli ambassadors in protest against the move, in comments on his official Facebook page. The Hamas politburo members also welcomed Egypt's summoning of their Israeli envoy over the settlement expansion, which came after Palestine was recognized as a non-member state at the UN. On Monday, senior PLO officials applauded Europe's response to settlement building. PLO executive committee member Ahmad Majdalani told Ma'an that Europe's patience with Israeli Prime Minister Benjamin Netanyahu had not been constructive, and that practical, tangible steps were needed to pressure Israel to obey international laws and the will of the international community. Senior PLO official Hanan Ashrawi said Europe's position had changed not because Palestine is a recognized state, but because Israel had gone too far. Ashrawi said the US and the EU had asked Israel not to build in the "E1" zone east of Jerusalem, "but Israel today tells the world that ... (it is) above the law." 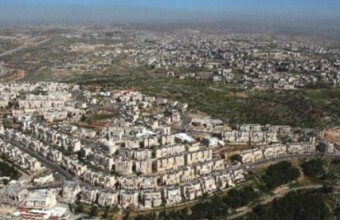 Haaretz Israeli newspaper revealed that despite the international pressure on Israel to reverse its decision regards settlement expansion, the Higher Planning Council of the Israel Occupation Forces' Civil Administration in the West Bank met Wednesday morning to push ahead with plans to construct 3,400 new housing units in the E1 area between Ma'ale Adumim and Jerusalem. During the meeting which was held hours before Prime Minister Benjamin Netanyahu's visit to Berlin, the Higher Planning Council's added on its agenda two construction plans for the E1 area: 1200 new housing units to be constructed in the southern section of this area, and 2176 units in its eastern sections. Netanyahu will meet in Berlin with German Chancellor Angela Merkel regards Israel's contentious construction plans. It's worth mentioning, that Britain, France, Sweden, Denmark and Spain on Monday summoned the Israeli ambassadors to their countries to express their condemnation of Netanyahu's decision, and on Tuesday, Australia, Brazil, Ireland, Finland and Egypt followed suit. Russia also issued a statement on Monday urging Israel to refrain from expanding settlements. Israeli settlement activity in the Palestinian territory, especially the newly announced projects in the E-1 area, is a red line which cannot go unanswered because it divides the Palestinian land, President Mahmoud Abbas said Wednesday. Speaking to reporters at his office in Ramallah, Abbas said the PA contacted international sides to try and stop the settlement project Israel announced in response to Palestine's upgraded status at the UN. “If that project is implemented, we will use all legal and legitimate means to stop it, and we have something to say and do about these dangerous decisions,” Abbas said. He added that Israeli procedures should be reversed because international law prohibits an occupying state from carrying out any procedures on the lands of a state under occupation. Now that Palestine is a non-member state in the UN General Assembly, he added, the Fourth Geneva Convention is applicable. The president said he instructed Palestine's UN envoy to contact the UN Secretary-General and the president of the UN Security Council. "We will see their reaction to the Israeli settlement decision, then we will study the next step." 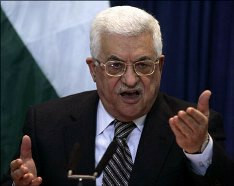 The official Palestinian Authority news agency Wafa quoted Abbas as saying that the Palestinian leadership has already formed a special committee to study "the day after." The committee encompasses experts in international law and diplomacy, and they will start working on how to address international organizations now Palestine has been accepted in the UN. Abbas said the committee would hold its first meeting Wednesday. He pointed out that the Arab League's follow-up committee would convene on Dec. 29 to discuss the peace process after Palestine's status upgrade. In Brussels, the European Union summoned Israel's ambassador to discuss the bloc's concerns over plans to expand settlements in the occupied West Bank, an EU foreign affairs spokeswoman said. "The Israeli ambassador has been invited by the Executive Secretary General of the EEAS (European External Action Service) to meet to set out the depth of our concerns," Maja Kocijancic said. The Executive Secretary General -- the senior diplomat in charge of policy for EU foreign affairs chief Catherine Ashton -- is Pierre Vimont, former French ambassador to Washington. Several EU countries have already called in Israeli ambassadors for consultations, but EU states have been struggling to agree on a common response to the settlement expansion plans. The spokeswoman said the EU reaction to Israel's new building plans would depend on the extent to which they threatened the establishment of a viable state of Palestine in the future. Israel moved forward Wednesday with plans to build some 3,000 settler homes in one of the most sensitive areas of the occupied West Bank, in defiance of international protests. The European Union has repeatedly spoken out against Israeli settlements on land the Palestinians want for their state. Ashton said on Sunday that she was "extremely concerned" by the plans. The Palestinian Authority in the West Bank, headed by president, Mahmoud Abbas, decided to head to the United Nations Security Council to ask it for a resolution ordering Israel to stop all of its settlement activities in the occupied West Bank, and in occupied East Jerusalem, especially the recently approved plan to build more than 3000 units for Jewish settlers. On Tuesday at night, the P.A. held a meeting headed by Abbas and decided that it will stand firm in opposing Israel’s new settlement construction plan, adding that the future of the two-state solution, and the entire peace process, is threatened by Israel’s illegal settlement activities and its ongoing violations. The P.A. added that this latest project is the “most dangerous, and the most racist” Israeli plan that should not be allowed to be implemented. The Palestinian leadership further stated that it will continue to act on the international level, and with all related international institutions in order to start a real and a serious political process that aims at ending the illegal Israeli occupation, and for the construction of strong national institutions to best serve the Palestinian people. It also called on the Arab Follow-up Committee to accelerate the implementation of its plan to secure a financial safety net of at least $100 Million a month to overcome the Israeli sanctions and illegal policies of collective punishment. The Palestinian leadership also affirmed the urgent necessity to implement the National Unity agreement in order to maintain a strong and a united internal front. According to Maariv Israeli daily, Israeli Prime Minister, Benjamin Netanyahu, stated that Israel will be facing difficult situations after the Palestinians managed to obtain state recognition, and due to Israel new settlement plan to link Jerusalem with the illegal Maale Adumin settlement. Netanyahu met with official army and government spokespersons asking them to “explain Israel’s stance to the world”, and to play a more effective role in international media channels. He said that the Israeli campaign must focus on the Palestinian stance that rejects to recognize Israel as a Jewish state, claiming that the conflict “is not about land, but about accepting Israel”. The Palestinian leadership recognized Israel as a state, and its right to exist, before the signing of the first Oslo Peace Agreement in 1993, Israel on the other hand never made any official statement recognizing the Palestinian right to an independent state, and never recognized any of the related United Nations and Security Council resolutions. The European Union has summoned Israel's ambassador to discuss the bloc's concerns over Israeli plans to expand its settlements in the occupied West Bank, an EU foreign affairs spokeswoman said Wednesday. European Union states struggled to agree on Tuesday on a common response to Israel's plans to expand settlements in the West Bank, highlighting the divisions within the bloc over how to tackle the Palestinian-Israeli conflict. At a meeting in Brussels, ambassadors responsible for security issues discussed the possibility of all 27 EU states writing to Tel Aviv to express their displeasure or calling in Israeli ambassadors for consultations, as five EU countries have already done. No formal decisions were taken during the meeting and the issue will be discussed further on Friday, EU diplomats told Reuters. But it remains possible that language censoring Israel could be included in a statement to be issued by EU foreign ministers after a meeting on Dec. 10 in Brussels, they said. "We have agreed on a recommendation so it is not obligatory," one EU diplomat said, speaking on condition of anonymity. Divisions in Europe over the Palestinian-Israeli conflict were highlighted last week when the bloc's 27 governments failed to find a common position on the United Nations General Assembly vote on a de facto recognition of a of state of Palestine. Fourteen European governments backed the Palestinians' successful bid for a status upgrade at the UN, but 12 abstained and one, the Czech Republic, voted against it. The EU has repeatedly spoken out against Israeli settlements on land that the Palestinians want for their state, saying they hinder peace efforts and undermine the chances of creating a state of Palestine. But some governments are wary of pushing the Israeli government too hard and hurting EU ambitions to build up its credentials as a power broker in the Middle East and bolster its voice on the diplomatic stage. The EU is the biggest foreign aid donor to the Palestinians, providing them around 300 million euros ($393 million) a year from the EU budget. Individual governments add a similar amount in addition to that, with the funds spent on direct budget support, refugees and Palestinian institution-building. EU officials argue that European support to Palestinian state-building efforts in the West Bank, and other policies, were an important ingredient of international efforts to solve the Palestinian-Israeli conflict. But the EU's leverage with the Israelis is limited and its aid to the Palestinians far outweighed by Washington's economic and military support for Israel. The United States has ratcheted up criticism of Israel over the new settlement plans, urging it to reconsider despite Prime Minister Benjamin Netanyahu's refusal to back down. Washington has so far stopped short of threatening any concrete measures. Panama on Wednesday summoned Israel's ambassador to protest Israel's decision to expand Jewish settlements in the occupied West Bank, Hebrew media reported. Panama was one of nine countries to vote against a resolution upgrading Palestine to a non-member state of the UN in November. Italian Foreign Minister Giulio Terzi on Wednesday summoned the Israeli ambassador to a meeting to express strong disapproval of Israel's settlement expansion plans, the foreign ministry in Rome said. The European Union and individual countries including Britain, France, Spain, Sweden and Denmark have already summoned Israeli ambassadors over the settlement issue. The Egyptian ministry of foreign affairs on Tuesday summoned Israel's ambassador to Cairo to protest his government's decision to expand settlements in the West Bank and Jerusalem. Ala'addin Yousuf, who heads the Israeli affairs section at the ministry, told the ambassador that the Israeli government's plan contradicts the principle of land for peace and the efforts made in this regard, a ministry spokesman said. Israel's announcement about its intention to build 3,000 new Jewish settlement homes in a critical area of the West Bank near occupied Jerusalem came in the wake of a historic vote by the UN general assembly to upgrade the Palestinians' diplomatic status. 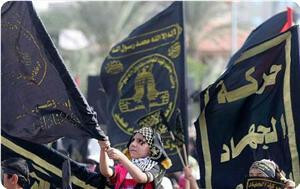 The Islamic Jihad Movement in Palestine has warned the Israeli occupation authorities of the continuation of its war and aggression against the Palestinian people, land and holy sites. The movement said in a statement on Wednesday: "These aggressive policies demonstrate the continuous intentions of the occupation to kill citizens and expand the settlements at the expense of the Palestinian people, land and holy places." It emphasized that the occupation's attempts to dominate the land, displace the people, and confiscate the rights, will fail and called for confronting and responding to the Israeli aggressive policies with the resistance. Israel's Prime Minister Benjamin Netanyahu, approved Monday evening a new plan to construct 3600 new housing units in East Jerusalem, raising the number of Israeli settlement units after the Palestinian UN recognized the state of Palestine to 6600. The Israeli government approved to construct 3600 new housing units distributed on three areas: 1600 new housing units in Jewish neighbourhood Ramat Shlomo, 1000 units in Givat Ze'ev, and another 1000 housing units in Beit Safafa. Despite an international condemnation of Israeli settlement, the Jerusalem District Planning and Building Committee will hold a meeting today in Ramat Shlomo to discuss the new plan to expand settlement in East Jerusalem claiming that this plan was approved two years ago, in March 2010. Israel's Channel 7 revealed that this plan have caused a massive objections on the international level, as the plan was approved during a visit by U.S. Vice President Joe Biden. The approval sparked an unprecedented diplomatic crisis between Washington and Jerusalem, as a result of which the plan, along with additional construction projects in East Jerusalem, was suspended. Hagit Ofran of Israel's Peace Now movement, criticized the Israeli decisions and said, "The government is doing its best to avoid the two-state solution." The Israeli government's announcement that it is to expand settlements in the West Bank in response to the UN vote on Palestinian statehood violates human rights and international humanitarian law, Amnesty International said today. "Settlement construction is the cause of forced displacement, a myriad of human rights violations and is a flagrant violation of international law. Israel must immediately halt all construction of settlements and related infrastructure as a first step towards removing all settlers from the occupied territories," said Ann Harrison, Deputy Director of Amnesty International's Middle East and North Africa programme. "This announcement sends a strong signal to the world that the current Israeli government has no respect for human rights and international law. Building settlements violates the rights of Palestinians in the occupied West Bank and is prohibited in all circumstances." Israel said on Friday 30 November that it had authorized an additional 3,000 housing units to build or expand settlements in unidentified locations in the occupied West Bank. The announcement came a day after Palestine was recognized as a non-member observer state of the United Nations (UN) by a vote at the UN General Assembly in New York. According to reports, some other proposals for expansions will be in a strategic area known as E1 which lies between East Jerusalem and the Ma'ale Adumim settlement. The Israeli army already has plans to forcibly evict and transfer 20 Palestinian communities - some 2,300 people who are mostly Jahalin Bedouin - from their homes in E1 and the area of the Ma'ale Adumim settlement bloc. 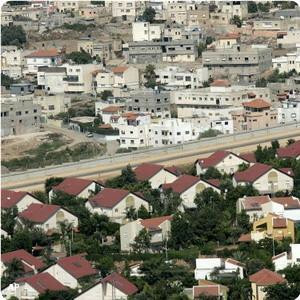 Israeli authorities have not consulted with the communities and the residents oppose the move. The majority of houses and structures in these communities have demolition orders. Since the UN General Assembly vote last Thursday, settlers near the Bedouin communities are reported to have stepped up their tactics of harassment and violence. According to residents, children and shepherds have been attacked and the settlers play loud music and shine spotlights on the Bedouin villages. The Jahalin have been displaced numerous times since 1948 when they became refugees from their lands which lie in what became the State of Israel. Israel's settlement policy in the Occupied Palestinian Territories (OPT) is characterized by discrimination on grounds of nationality, ethnicity and religion. Settlements, which are all built on Palestinian lands, are for Jews only, who are entitled to Israeli nationality and to the protection of Israeli law even if they are migrants from other countries who go to live in settlements in the OPT without ever having resided in the State of Israel. Palestinians, who are subject to military law rather than Israeli civilian law, are not allowed to enter or approach Israeli settlements or to use settlers' roads, and are thus prohibited from resources for their livelihoods and are restricted in their movements. Settlers also receive substantial financial and other benefits, and are allowed to exploit land and natural resources that belong to the Palestinian population. 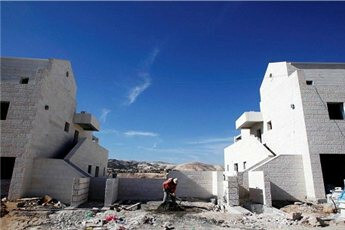 Construction of settlements in the occupied West Bank has continued throughout 2012. 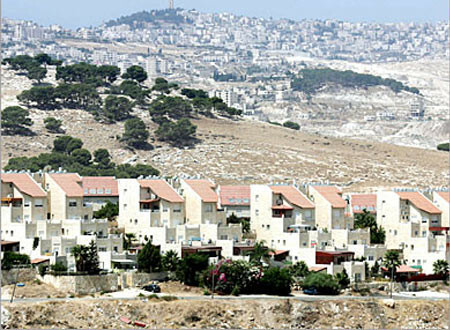 Most recently, on 6 November 2012, the Ministry of Housing tendered for the construction of 1,285 units in East Jerusalem and the settlement of Ariel, in the northern West Bank. Israel has previously announced new plans for settlement expansion in reaction to Palestinian diplomatic initiatives at the UN. On 3 November 2011, following Palestine's admission into United Nations Economic, Social and Cultural Organization UNESCO, the Israeli government announced that around 2,000 new homes would be built in East Jerusalem and in the West Bank settlements of Efrat and Ma'ale Adumim. Twelve days later, on 15 November 2011, the Ministry of Housing published tenders for 2,230 new housing units beyond the Green Line (the 1949 Armistice Line). Australian Foreign Minister, Bob Carr, instructed his department to call in Israeli ambassador Yuval Rotemto over Israel's plans to build thousands of new homes in West Bank settlements and to express concern over the withhold tax revenue from the Palestinian Authority. Carr said, "These actions enormously complicate the prospects for resuming negotiations between the two sides." There has been international condemnation of the plan, which is likely to deepen a rift that has emerged between Israel and some of its closest allies following the UN's recognition of a Palestinian state last week. "I am extremely disappointed with these reported Israeli decisions," Carr said. 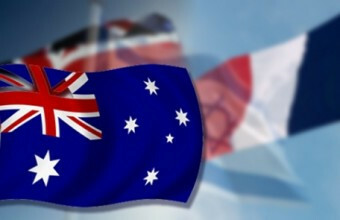 Australia abstained from the UN vote after Labor members of parliament forced Prime Minister Julia Gillard to abandon her plans to vote in Israel's favor. "Australia has long opposed all settlement activity. Such activity threatens the viability of a two-state solution without which there will never be security in Israel. Israel's reported decision to unfreeze planning of the area known as E1 is especially counter-productive," Carr continued, "The Australian government urges both sides to return urgently to the negotiation table in good faith." It's worth mentioning that Israeli ambassadors were summoned for consultations in five European capitals. The Palestinians accused Israel in a letter to the United Nations of planning to commit further "war crimes" by expanding Jewish settlements after the Palestinians won de facto UN recognition of statehood and warned that Israel must be held accountable. In the letter to UN Secretary-General Ban Ki-moon and the UN Security Council, the Palestinians said Israel was behaving "in a rogue, hostile and arrogant manner, contravening all principles and rules of international law and reacting with contempt to the will of the international community." After the UN General Assembly upgraded the Palestinians' status at the world body on Thursday from "observer entity" to "non-member state," Israel said on Friday it would build 3,000 more settler homes in the West Bank and East Jerusalem - areas Palestinians want for a future state, along with Gaza. Approximately 500,000 Israelis and 2.5 million Palestinians live in the West Bank and East Jerusalem. 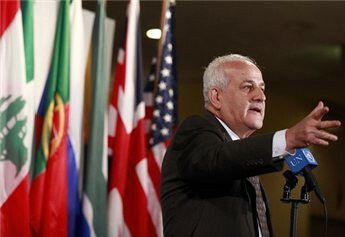 "A clear message must be sent to Israel that all of its illegal policies must be ceased or that it will be held accountable and will have to bear the consequences if its violations and obstruction of peace efforts," Palestinian UN observer Riyad Mansour wrote in the letter dated Monday. After winning the UN status upgrade, the Palestinians can now access the International Criminal Court in The Hague, which prosecutes people for genocide, war crimes and other major human rights violations and where it could complain about Israel. Benjamin Netanyahu faces a dressing down from Angela Merkel on Wednesday over his plans to build more Israeli settlements, a policy that has incensed Europe and left even Germany, one of Israel's strongest allies, questioning his commitment to peace. 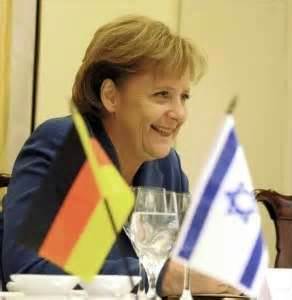 The issue will overshadow consultations between the German and Israeli governments on issues ranging from Israel's defense and security to greater cooperation in science and research and could further strain already cool working relations between Netanyahu and the German chancellor. The Israeli prime minister is still smarting from what he considers Berlin's betrayal after Germany abstained in a UN vote last week that upgraded the Palestinians' status to "non-member state" from "observer entity". He had wanted Berlin to vote no. Netanyahu will stop briefly in Prague on his way to Berlin to thank the Czechs for being the only European state to join Israel and the United States in opposing the resolution, underscoring how important the issue was for him. Germany says its decision was based on the view that the Palestinians were justified in desiring their own state, but had chosen the wrong way of pushing the issue. It argued that moves in the United Nations rather than talks in the Middle East would only hamper peace and push both sides further apart. So far, the Germans appear to have been right. A day after the UN General Assembly backed the Palestinian bid, Israel said it would build new dwellings for Jewish settlers. Such projects, on land Israel captured in a 1967 war, are considered illegal by most world powers and have routinely drawn condemnation from them. One of the areas Netanyahu said would be subject to preliminary planning work is the so-called "E1" zone east of Jerusalem, a prospect that has stoked particular alarm. "E1 is not just another settlement. E1 is of enormous strategic importance. E1 ... would cut off East Jerusalem once and for all from the West Bank, thereby making a two-state solution practically impossible," said Ruprecht Polenz, a member of Merkel's Christian Democrats and head of the Foreign Affairs Committee of the Bundestag lower house. Should E1 go ahead, Netanyahu and Foreign Minister Avigdor Lieberman would "bury the dream of a democratic, Jewish state" by creating instead an entity that would have to include a large Palestinian population, he said. "The (German) government should do everything to turn Israel from this path in the coming inter-governmental talks," he said. Germany frequently stresses it will always have a unique relationship with Israel and bear responsibility for its security after the Nazi-perpetrated Holocaust. Merkel issued a video message on Saturday saying how much she was looking forward to "friendly discussions" with Netanyahu when they dine together on Wednesday. She again backed Israel's right to defend its citizens from attack, leaving it to her spokesman Steffen Seibert to issue a surprisingly strong warning on Monday over the settlement plan. "The Israeli government is sending out a negative message with this move. It is eroding trust in its willingness to negotiate, and the land for a future Palestinian state is disappearing further," Seibert said. A senior Israeli government official said Israel hoped Merkel would not repeat the admonition herself in public. Polenz said that Israel should seize the initiative and launch fresh peace talks instead of settlement building. "I am concerned that with continued settlement building the time frame for a two-state solution will probably run out within the next two years," he said. Israel cites historical and Biblical links to the occupied West Bank and Jerusalem, saying the future of settlements should be determined through negotiations. Germany's response may seem muted compared with the strong chorus of criticism from other European capitals, but in German terms it is a notable step. "We have a unique relationship stemming from our history, and are in a fundamentally different position from our European neighbors. Friendship cannot be questioned, whatever the relations between our governments," said Reinhold Robbe, a former Social Democrat lawmaker and president of the German-Israeli society. Germany's commitment to Israeli security includes sales of arms. In March, Berlin said it would sell Israel a sixth military submarine and shoulder millions of euros of the cost. Just last week, according to news magazine Spiegel, Germany's Federal Security Committee agreed to the export of shoulder-fired anti-tank weapons and bunker-busting weapons to Israel to help it defend itself from attacks by Hamas from Gaza. A defining feature of Merkel's time as chancellor has been her eagerness to engage with Israel herself, rather than hand the portfolio to her foreign minister, as her predecessor Gerhard Schroeder tended to do, Robbe said. But this means she must now engage in difficult talks with Netanyahu directly and put all subjects on the table, he said. The two governments will hold a joint session on Thursday when Netanyahu and Merkel will also give a news conference. Hamas movement said that Israel with its ceaseless settlement expansion in the occupied Palestinian land was challenging the international community and its laws. Hamas, in a statement on Tuesday commenting on the new Israeli plan of building 3600 housing units in occupied Jerusalem, said that the Israeli step was an offence to the civilized world. It said the world should intervene to curb the Israeli challenges and violations of the international law. The movement described Israel’s step as a desperate attempt to make amends for its defeat in Gaza and reflects its political and military leaders’ frustration. Hamas said that the Israeli rabid settlement campaign proves anew failure of the negotiations process, adding that only resistance and steadfastness are capable of deterring occupation and regaining rights. Israel will not backtrack on a settlement expansion plan that has drawn strong international condemnation, an official in Israeli Prime Minister Benjamin Netanyahu's office said on Monday. Britain, France and Sweden summoned the Israeli ambassadors in their respective capitals to hear appeals for Netanyahu to reverse course and deep disapproval of the plan to erect 3,000 more homes in the occupied West Bank and East Jerusalem. "The announcement in and of itself is an assault not just on Palestine, but also on the will of the international community," Palestinian Authority spokeswoman Nour Odeh told Ma'an. "The settlement plans are a strategic blow to the two state solution, which the world agrees is the only acceptable formula to resolve the conflict," Odeh added. Israel's intransigence to the overwhelming condemnation by the international community is further proof that the Palestinian UN bid was the right path, Odeh said. "It is incumbent upon international actors to take a very clear stand, in actions and not only statements, to stop the construction," she added. Israel announced the planned settlement expansion on Friday, a day after the UN General Assembly granted de facto recognition to Palestinian statehood over Israeli and US objections. All settlements are illegal under international law and and are routinely condemned by the international community. The latest Israeli plan, however, also included "preliminary zoning and planning work" for settler housing in the so-called "E1" zone east of Jerusalem. Israeli construction there could bisect the occupied West Bank, potentially cutting Palestinians off from Jerusalem and further undermining the possibility for a contiguous state. Israeli Prime Minister Benjamin Netanyahu on Sunday brushed off world condemnation of Israel's plans to expand Jewish settlements after the Palestinians won de facto UN recognition of statehood. "We will carry on building in Jerusalem and in all the places that are on the map of Israel's strategic interests," a defiant Netanyahu said at the weekly cabinet meeting. In another blow to the Palestinian Authority in the West Bank, Israel also announced it was withholding Palestinian tax revenues this month worth about $100 million because of a $200 million PA debt to the Israeli Electric Corporation. Yasser Abed Rabbo, a senior Palestinian official, said confiscation of the funds due the cash-strapped Authority and vital to meeting its payroll, was "piracy and theft". Stung by the UN General Assembly's upgrading on Thursday of the Palestinians' status from "observer entity" to "non-member state", Israel said on Friday it would build 3,000 more settler homes in the West Bank and East Jerusalem, areas Palestinians want for a future state, along with Gaza. An Israeli official said the government also ordered "preliminary zoning and planning work" for thousands of housing units in areas including the so-called "E1" zone near Jerusalem. But Israeli officials said it could take up to two years before any building begins in E1. At the cabinet meeting, Netanyahu said the "unilateral step the Palestinians took at the UN is a gross violation of previous agreements signed with Israel". The government of Israel, he added, "rejects the General Assembly's vote". The upgrade, approved overwhelmingly, fell short of full UN membership, which only the Security Council can grant. But it has significant legal implications because it could allow the Palestinians access to the International Criminal Court where they could file complaints against Israel. Israel's settlement plans, widely seen as retaliation for the Palestinians' UN bid, have drawn strong international condemnation from the United States, France, Britain and the European Union. "The recognition of Palestine as a state changes a lot of the facts, and aims to establish new ones," President Mahmoud Abbas told a cheering crowd in the West Bank city of Ramallah on his return from the United States. "But we have to recognize that our victory provoked the powers of settlement, war and occupation." Netanyahu heads a pro-settler government and opinion polls predict his Likud party will come out on top in Israel's Jan. 22 parliamentary election, despite opponents' allegations that his policies have deepened Israeli diplomatic isolation. "All settlement construction is illegal under international law and constitutes an obstacle to peace," the EU's foreign policy chief Catherine Ashton said in a statement on Sunday. The United States said the plan was counterproductive to any resumption of direct peace talks, stalled for two years in a dispute over settlement expansion in the West Bank and East Jerusalem, both captured by Israel in a 1967 war. Netanyahu says Israel, as a Jewish state, has a historic claim to land in the West Bank and to all of Jerusalem. Palestinians want East Jerusalem as the capital of a future state. 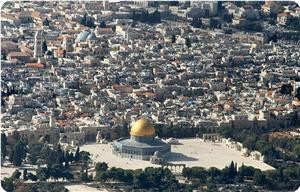 Israel considers all of the holy city as its capital, a claim that is not recognized internationally. Israeli Housing Minister Ariel Attias said that within weeks the government would publish invitations for bids from contractors to build 1,000 homes in East Jerusalem and more than 1,000 in West Bank settlement blocs. "E1 is in planning, which means sketches on paper," Attias told Army Radio. "No one will build until it is clear what will be done there." The E1 zone is considered especially sensitive. Israel froze much of its activities in E1 under pressure from former US President George W. Bush and the area has been under the scrutiny of his successor Barack Obama. Benny Kashriel, mayor of the Maale Adumim settlement adjacent to E1, told Army Radio building "will take a year or two". Yariv Oppenheimer, head of the Israeli anti-settlement group Peace Now said: "If we build in E1 the two-state vision will truly be history ... it is a strategic point that if built, will prevent the Palestinians from having a normal state." Approximately 500,000 Israeli settlers and 2.5 million Palestinians live in the West Bank and East Jerusalem, which have been under Israeli occupation since 1967. The foreign policy chief of the European Union on Sunday called on Israel not to follow through with new plans to increase settlement building. Israeli government officials unveiled on Friday plans to build 3,000 new settlement units and expedite building in the so-called E-1 area that bisects the occupied West Bank, a day after Palestine was admitted to the UN as a non-member state. EU High Representative Catherine Ashton said she was "extremely worried by the prospects of settlement expansion on such a scale." "The reaction of the international community to any such decision is likely also to be influenced by the extent to which such expansion may represent a strategic step undermining the prospects of a contiguous and viable Palestine with Jerusalem as the shared capital of both it and Israel." Calling on both Israel and Palestine to work towards a return to negotiations, Ashton asked the Israeli government to "show its commitment to the early renewal of negotiations to end the conflict and the occupation by not taking forward these plans." Foreign and Commonwealth Office spokesperson said in a statement that they deplore the recent Israeli government decision to build 3,000 new housing units and unfreeze development in the E1 block. This threatens the viability of the two-state solution. He went further, "Any decision about any other measures the UK might take will depend on the outcome of our discussions with the Israeli government and with international partners including the US and European Union." Sweden has summoned the Israeli ambassador in Stockholm to a meeting, the foreign ministry said on Monday, as governments across Europe acted to express concern over Israel's plans to expand Jewish settlements on occupied land. Britain and France summoned Israeli ambassadors and were weighing other measures over the move to build 3,000 settler homes in the West Bank and East Jerusalem in the wake of the Palestinians winning de facto UN recognition of statehood. Germany urged Israel on Monday to refrain from expanding Jewish settlements in the occupied West Bank and Jerusalem but said a visit by Israeli Prime Minister Benjamin Netanyahu to Berlin this week would go ahead as planned. "We appeal to the Israeli government to desist from this procedure (for building more settlements)," German government spokesman Steffen Seibert told a news conference, adding that the plans undermined efforts to revive peace talks by reducing the land available for a future Palestinian state. Asked whether the issue might jeopardise Netanyahu's visit to Germany, Seibert said there was no change in the schedule: "The chancellor (Angela Merkel) expects Mr Netanyahu for dinner and talks on Wednesday evening... We expect an open discussion between friends." Britain said on Monday it had summoned the Israeli ambassador in London for talks over Israel's plans to expand Jewish settlements after the Palestinians won de facto UN recognition of statehood. "The Israeli Ambassador to London, Daniel Taub, has been formally summoned to the Foreign Office this morning by the Minister for the Middle East, Alistair Burt. The Minister set out the depth of the UK's concerns," a British Foreign Office spokesman said. France and Britain on Monday summoned their Israeli ambassadors to express concerns over Israel's plans to expand Jewish settlements after Palestine won de facto UN recognition of statehood. "The ambassador has been summoned in order to express our disapproval," French foreign ministry spokesman Philippe Lalliot said. The Israeli embassy also confirmed the meeting. A ministry official brushed off reports that France could recall its own envoy in Jerusalem and said Paris was looking at other ways of putting pressure on Netanyahu. "There are other ways in which we can express our disapproval," the official told Reuters. In London, a Foreign Office spokesman said: "The Israeli Ambassador to London, Daniel Taub, has been formally summoned to the Foreign Office this morning by the Minister for the Middle East, Alistair Burt." "The Minister set out the depth of the UK's concerns," the spokesman said. "Any decision about any other measures the UK might take will depend on the outcome of our discussions with the Israeli government and with international partners including the US and European Union," he added. Germany urged Israel to refrain from expanding settlements and Russia said it viewed plans to put more new homes in the occupied West Bank and East Jerusalem with serious concern. Israel said on Friday it would build thousands of new settler homes, including in a wedge zone between Jerusalem and the West Bank, known as E1, which Washington considers especially sensitive. France and Britain have both condemned Israel's plans, saying international confidence in Israel's desire to make peace with the Palestinians was at risk. Netanyahu has dismissed world condemnation of his latest settlement plans, which were announced on Friday just hours after the United Nations voted overwhelming to upgrade the Palestinians' diplomatic status. Britain and France may take an action in protest against Netanyahu's decision on Friday to build 3000 new housing units in the settlement blocs in E1 area between Ma'aleh Adumim, East Jerusalem. A senior European diplomat said, "This time it won't just be a condemnation, there will be real action taken against Israel." According to Yeditot Ahranot Israeli newspaper, Netanyahu's decision to build in E1 has shocked the foreign ministers and the leaders in London and Paris. Britain and France not only consider construction in E1 as a "red line" but also angry because Israel has responded ungratefully to the support the two countries gave it during the recent Gaza operation. Britain and France have discussed their move against Israel, and will recall their ambassadors from Tel Aviv for consultations. A final decision in the matter will be made today by the British and the French foreign ministers. 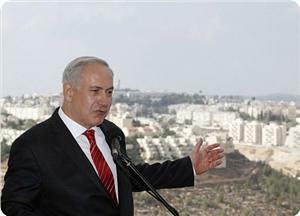 High rank officials said Israel was planning more steps against the Palestinian Authority. "The Palestinians will soon realize they made a mistake in taking unilateral steps that breached agreements with Israel," the source said. Sunday morning, Netanyahu and Finance Minister Yuval Steinitz decided to confiscate the tax money that Israel had collected for the PA in November – a total of NIS 460 million – and to use it against the PA's debt to the Israel Electric Corporation. Britain is considering recalling its ambassador to Israel to protest at Prime Minister Benjamin Netanyahu's decision to expand settlement building, a diplomatic source said on Monday. Israel's Haaretz newspaper reported that France was also considering withdrawing its envoy, and the two countries were coordinating discussions over a number of punitive steps. Both embassies declined to comment on the reports, but the British issued a statement saying they had made clear they would not support strong Israeli retaliation to a UN vote last week that gave the Palestinians de facto recognition of statehood. "The recent Israeli government decision to build 3,000 new housing units threatens the two-state solution and makes progress through negotiations harder to achieve," the British embassy in Tel Aviv said. "We have called on the Israeli government to reconsider." A diplomatic source, who declined to be named, said London would decide later in the day whether to recall its ambassador. Such a move by both London and Paris would represent a severe diplomatic reproach to Netanyahu. Israel's Vice Prime Minister Moshe Yaalon told Israeli Army Radio he was not aware of any recall. "I did not hear of this, either via the foreign ministry or the prime minister's office. Therefore I have a hard time believing it is true," he said. France's foreign ministry played down the report. "There are other ways in which we can express our disapproval," a foreign ministry official told Reuters. Netanyahu has brushed off world condemnation of his latest settlement plans, which were announced on Friday just hours after the United Nations voted overwhelming to upgrade the Palestinians' diplomatic status. "We will carry on building in Jerusalem and in all the places that are on the map of Israel's strategic interests," Netanyahu said on Sunday at a weekly cabinet meeting. Besides authorizing 3,000 new homes in and around Jerusalem, the Israeli government also agreed to expedite planning work for thousands more homes on land near Jerusalem that critics say would kill off Palestinian hopes of creating a viable state. In another blow to the Palestinian Authority in the West Bank, Israel announced on Sunday it was withholding Palestinian tax revenues this month worth about $100 million. Israel said it was taking the money to help cover a Palestinian debt of $200 million with the Israeli Electric Corporation. French President Francois Hollande said on Tuesday he did not want to start imposing sanctions on Israel after it announced plans to expand settlement building in occupied territories. "We don't want to shift into sanctions mode," Hollande said at a news conference with Italian Prime Minister Mario Monti. "We are more focused on convincing." Senior PLO officials on Monday applauded Europe's response to Israeli plans to build expand settlement building after the United Nations' de facto recognition of Palestine. Britain, France, Spain, Sweden and Denmark summoned the Israeli ambassadors in their capitals to hear appeals for Israeli Prime Minister Benjamin Netanyahu to reverse course and deep disapproval of the plan to erect 3,000 more homes in the occupied West Bank including East Jerusalem. PLO executive committee member Ahmad Majdalani applauded the strong position taken by Europe, which he said reflected the world's frustration with Israeli policies. He told Ma'an that Europe's patience with Israeli Prime Minister Benjamin Netanyahu had not been constructive, and that practical, tangible steps were needed to pressure Israel to obey international laws and the will of the international community. Meanwhile, senior PLO official Hanan Ashrawi said Europe's position had changed, not because Palestine is a recognized state, but because Israel had gone too far. Construction in E1 has never been put into motion in the face of opposition from Israel's main ally, the United States. Building in the area could bisect the West Bank, cut off Palestinians from Jerusalem and further dim hopes for a contiguous Palestinian state. Israel was displaying arrogance not just against the Palestinian people but against the whole international community, Ashrawi told Ma'an. "They must know that at this stage there are punishments and consequences to their actions." She said summoning ambassadors was an important political step, but noted that settlement building was a decades-old issue. "Those countries should not have accepted settlement produce and should not have given them any privileges," she added. Ashrawi said Israel was using the UN General Assembly's admission of Palestine as a non-member state as an excuse to announce the settlement plans, which had been in the pipeline for years. She said the settlement plans were not a reaction to the UN vote but rather "a clear expression of the colonizing ideology in Israel." Israeli Finance Minister Yuval Steinitz said Israel could not have remained indifferent to Palestine's upgrade at the United Nations. "I want to tell you that those same Europeans and Americans who are now telling us 'naughty, naughty' over our response, understand full-well that we have to respond, and they themselves warned the Palestinian Authority," he said. An official in Netanyahu's office said Israel would not bend. "Israel will continue to stand by its vital interests, even in the face of international pressure, and there will be no change in the decision that was made," the official said. Only three weeks ago, Netanyahu won strong European and US support for a Gaza offensive that Israel said was aimed at curbing persistent cross-border rocket fire. Favored by opinion polls to win a Jan. 22 national election, he brushed off the condemnation and complaints at home that he is deepening Israel's diplomatic isolation. Netanyahu told his cabinet on Sunday that his government "will carry on building in Jerusalem and in all the places on the map of Israel's strategic interests". But while his housing minister has said the government would soon invite bids from contractors to build 1,000 homes for Israelis in East Jerusalem and more than 1,000 in West Bank settlement blocs, the E1 plan is still in its planning stages. 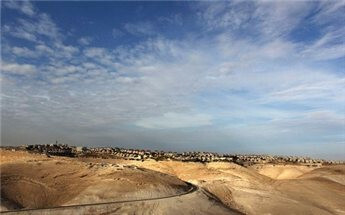 "No one will build until it is clear what will be done there," the minister, Ariel Attias, said on Sunday. The United States on Monday reiterated its opposition to new Israeli settlement activity on occupied land including in the site known as "E1", which it said could be especially damaging to efforts to achieve a two-state solution to the Israeli-Palestinian conflict. "The United States opposes all unilateral actions, including West Bank settlement activity and housing construction in East Jerusalem, as they complicate efforts to resume direct, bilateral negotiations," State Department spokesman Mark Toner said in a statement. "This includes building in the E-1 area as this area is particularly sensitive and construction there would be especially damaging to efforts to achieve a two-state solution." Israel indicated in Monday it had no plan to backtrack on a settlement expansion plan that has drawn strong international condemnation and includes "preliminary zoning and planning work" for settler housing in the so-called "E1" zone east of Jerusalem. "We have made clear to the Israeli government that such action is contrary to US policy," Toner said in his statement, which urged both Israel and the Palestinians to cease unilateral actions and take steps to return to direct negotiations. Israel announced plans to build 3,000 more homes in the occupied West Bank and East Jerusalem on Friday, a day after the UN General Assembly granted de facto recognition to Palestine over Israeli and US objections. Ekmeleddin Ihsan oglu, Secretary General of the Organization of Islamic Cooperation, expressed strong condemnation of the Israeli authorities' decision to approve construction of 3000 settlement units in the West Bank and occupied Jerusalem. Ihsan oglu considered such resolution as defiance to the will of the international community that has rejected the occupation and its policies by voting in favor of the state of Palestine in the General Assembly of the United Nations. He also said in a press statement on Sunday that the continuation of expanding and building settlements on Palestinian territories requires the intervention of the concerned international bodies, particularly the UN Security Council and the UN General Assembly, to shoulder their responsibilities towards what is happening in Palestine, including the Israeli violations and attacks, considered as war crimes. The Israeli government had approved a plan to build three thousand new settlement units in the West Bank and the occupied city of Jerusalem, less than 24 hours after the UN decision to grant Palestine the status of "a non-member observer state", which Tel Aviv considered contrary to the agreements it signed with the Palestinian Authority. Russia urged Israel on Monday to reconsider plans to expand Jewish settlements on occupied land after Palestinians won de facto UN recognition of statehood, saying building new homes would undermine any chance for direct peace talks. In a statement issued a day after Israeli Prime Minister Benjamin Netanyahu brushed off condemnation from the United States and European nations, Russia also criticized Israel's announcement it was withholding Palestinian tax revenues. 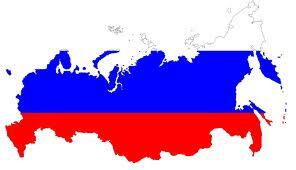 Russia "views these Israeli intentions with the most serious concern", the Foreign Ministry statement said. "Implementation of the announced plans for large-scale settlement activity would have a very negative effect on efforts to resume direct negotiations aimed at a two-state solution of the Palestinian-Israeli conflict," it said. Stung by the UN General Assembly's upgrading of the Palestinians' status from "observer entity" to "non-member state", Israel said on Friday it would build 3,000 more settler homes in the West Bank and East Jerusalem, areas Palestinians want for a future state, along with Gaza. Russia voted for the status upgrade but said it must not be treated as an alternative to a negotiated peace process. Israeli Prime Minister Benjamin Netanyahu on Sunday brushed off condemnation of Israel's new settlement plans, saying: "We will carry on building in Jerusalem and in all the places that are on the map of Israel's strategic interests." Israel also announced it was withholding Palestinian tax revenues this month worth about $100 million. The Russian statement on Monday said such a move would "complicate the already difficult socio-economic and humanitarian situation in the Palestinian territories". Russia is a member of the Quartet of Middle East peace mediators, along with the United States, the United Nations and the European Union. President Vladimir Putin has tried to balance relations with Arabs including the Palestinians, dating back to the Soviet era, with improved ties to Israel during his 13 years in power. Algeria condemned Israel’s announcement that it is preparing to build 3000 new settlement units in settlements in Jerusalem and the West Bank. 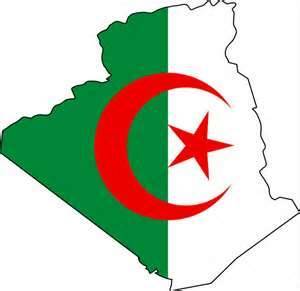 Algeria accused Israel of seeking revenge for the success achieved by Palestine by rising to the status of United Nations non-member observer state, and considered that such measure is designed to bisect the West Bank and cut communication between the territories of the Palestinian state. “We also condemn the vindictive, illegal steps that aim at freezing the transfer of funds owed to the Palestinian Authority,” the Ministry spokesperson continued. The hillside called E1 is one of the few places around Jerusalem that Jesus Christ might still recognize: a stony, dusty, barren slope on the way down to the desert and the Dead Sea. If Israel carries out plans announced this week, it is destined to be the site of another Jewish settlement, on occupied land that the Palestinians believe must be part of the state for which they have just won de facto UN recognition. Known simply by its administrative name, E1 (East One), this exposed stretch of West Bank land is at the center of a growing diplomatic dispute pitting Israel against both the Palestinians and also many of its Western allies. 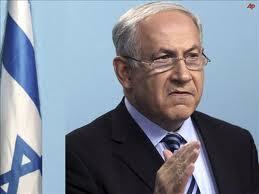 "The message Israel should have learned from the UN vote is that we are on very thin ice," he added. "By threatening E1 you are standing on thin ice and jumping up and down." Over half a million Israelis now live on land Israel occupied in the 1967 Middle East war, claiming historical and biblical ties to territory that the Palestinians say belongs to them. Building on this area would complicate efforts to draw the contours of a contiguous Palestinian state, making it more difficult for surrounding Palestinian communities to link up. A number of European Union governments went further, with Britain, France and Sweden summoning their respective Israeli ambassadors to protest at what they saw as an unacceptable reprisal against the Palestinians for the UN vote. 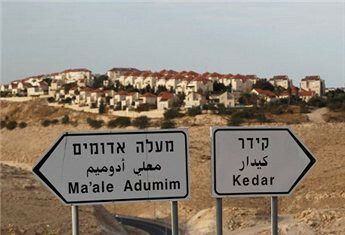 Israelis have already named the prospective settlement Mevasseret Adumim - Tidings of Adumim. 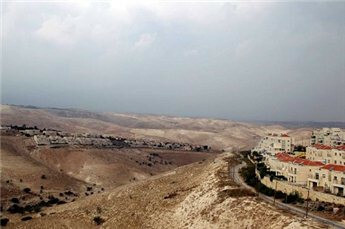 Maale Adumim itself means Red Heights -- a reference to the surrounding mountains that glow at sunset. Israeli authorities drew up plans in 2006 to move the Bedouin to another site. They have yet to act on it, but rights groups say the project is specifically designed to clear the way for E1 development. Israeli prime minister Benjamin Netanyahu, in the weekly Israeli cabinet meeting on Sunday, affirmed that his government will continue settlement construction in every place, in West Bank and East Jerusalem it considers “strategic”, following Palestine winning UN status recognition vote at the United Nations. He said that settlement construction will continue in East Jerusalem and other areas that Israel considers as essential for its security, stressing that his government refuses the decision of the United Nations to recognize Palestine as non-member state. “The state of Palestine will not be established without reaching security arrangements, without recognizing the Jewish identity of Israel and without ending the conflict by the Palestinian side,” said Netanyahu. 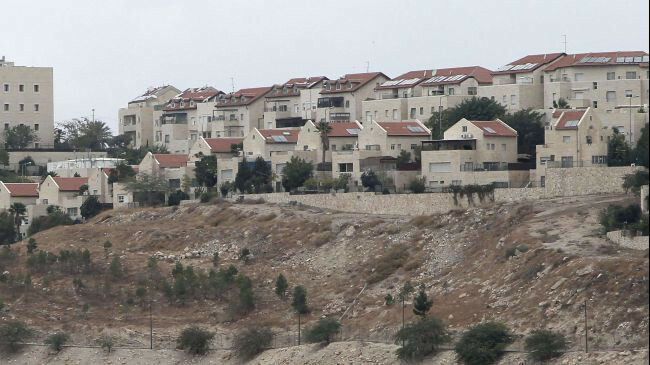 Israeli Housing and Construction Minister Ariel Atias announced that his ministry will begin next week the marketing of hundreds of settlement units in the East Jerusalem settlement neighborhood of Pisgat Ze'ev, Sunday reported the Israeli Walla news website. This announcement came a day following the Israeli government’s approval to build 3000 housing units in West Bank and Jerusalem, which came as a response to Palestine gaining recognition at the United Nations as a non-member state on Thursday. Meanwhile, Former Israeli Prime Minister Ehud Olmert denounced the Israeli government’s decision to build 3000 new settlement units and considered it a “slap in the face” to U.S. president Barrack Obama. “After Obama supported Israel in its war on Gaza and took the Israeli refusal position towards the Palestinian bid, Israel announces the building of 3000 units despite the fact that Obama opposes the settlement policy,” he said. PLO official in charge of Jerusalem affairs Ahmad Qurai said Sunday that Israel's decision to build up a zone linking East Jerusalem to West Bank settlements was "in defiance of world opinion." Israeli government officials unveiled on Friday plans to build 3,000 new settlement units and expedite building in the so-called E-1 area of the occupied West Bank, a day after Palestine was admitted to the UN as a non-member state. Qurai told official PA channel Palestine TV that the announcement was in "flagrant defiance" of the 138 UN member states who voted for the resolution. He said the decision would effectively close of East Jerusalem, which Palestinians insist is the capital of their future independent state. It undermines the two-state solution, and proves "Israel is a racist entity that does not want peace," Qurai said. The PLO official noted that Israel had long come under international pressure not to implement its E-1 plan, and called for intervention by the UN Security Council. A senior Fatah official said Sunday that Israel's decision to accelerate settlement building was further proof that the Israeli government is not interested in peace. Fahmi Al-Zaarer, deputy-head of Fatah's cabinet, said the move does not affect the UN resolution or weaken Palestine's position. 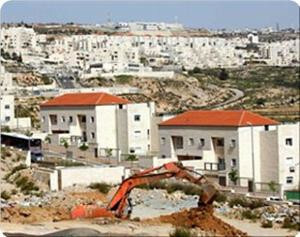 Increasing settlement construction is "proof that peace is only slogan for (Israel) in order to gain more time to confiscate further lands," al-Zaarer said. Israeli prime minister Benjamin Netanyahu was defiant on Sunday, saying that "Israel will continue building in Jerusalem and every place on the State of Israel's map of strategic interests," according to Israeli news site Ynet. The United States, one of just eight countries to vote alongside Israel against the Palestinians at the UN General Assembly, had called the latest expansion plan "counterproductive," while France, which voted with the Palestinians, and Britain, which abstained, had tougher censure for Israel. "If implemented, these plans would alter the situation on the ground on a scale that makes the two-state solution, with Jerusalem as a shared capital, increasingly difficult to achieve," British Foreign Secretary William Hague said in a statement. Hague's French counterpart, Laurent Fabius, spoke of E1 as "the new colonization zone" and said the Israeli expansion plan could "drain the confidence needed for a return to dialogue." British Foreign Secretary William Hague Saturday said he was extremely concerned by the revelation that Israel plans to build 3000 new housing units in the settlements as a punitive measure following United Nations vote that made Palestine a non-member state. “I am extremely concerned by reports that the Israeli cabinet plans to approve the building of 3000 new housing units in illegal settlements in the West Bank and East Jerusalem,” said Hague in a statement. 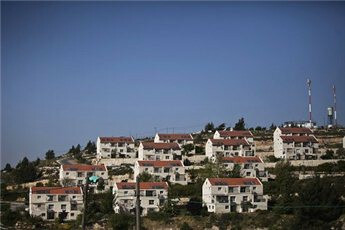 “Israeli settlements are illegal under international law and undermine trust between the parties. If implemented, these plans would alter the situation on the ground on a scale that makes the two-state solution, with Jerusalem as a shared capital, increasingly difficult to achieve,” he said. The Foreign and Commonwealth Office, which issued Hague’s statement, explained the UK's abstention in the vote on the Palestinian resolution at the UN. 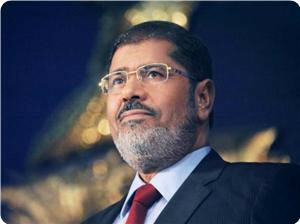 The statement added that the Foreign Secretary advised President Mahmoud Abbas not to push for a vote. But he also repeatedly made clear that Israel should avoid reacting in a way that undermined these goals, emphasizing in calls with Israeli Foreign Minister Avigdor Lieberman that the UK would not support a strong reaction.